Is Biodegradable Magnesium The Future Of Orthopedic Implants? The stability of metal implants is generally considered a strength, but when it means they will persist in the body forever, that strength becomes a drawback. However, a University of Florida researcher may have developed an alternative to traditional metal implants by using a biodegradable metal. Implant-grade titanium and stainless steels are used many thousands of times a day to fixate bone or staple soft tissue. A majority of these implants are left in the body with the expectation that they will become a permanent implant inside the patient. Sometimes implants are removed, but that requires a second procedure with all the attendant risks —like anesthesia and post-operative infection. Allowing an implant to remain in the body is most often benign, but it can be a nuisance to the patient. Sometimes pins or plates are palpable, or even visible at the surface of the skin, which can be annoying, unsightly, and even painful. Professor Manuel’s research is focused on using an alternative material for metal implants — magnesium. The magnesium implants have similar strengths to existing implant-grade metals without the drawbacks of permanence or second surgeries. “We don’t always want to put in a metal implant and leave it there forever,” Manuel said in the press release. “The idea with this pin is that it would dissolve over time, and after it’s finished, your body is basically in the same state it was before you had an injury. Her work is centered around developing surgical pins made from magnesium and controlling the biodegradation rate. According to the press release, magnesium was tried as an implant material in the early 1800s, but it degraded too quickly, leading to the release of hydrogen gas that visibly bubbled under the skin. Attempts to remove the gas were made with syringes. 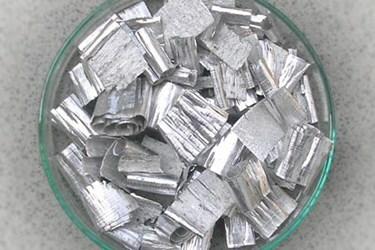 When more stable metals were developed, however, magnesium was abandoned. Using a slow rate of degradation, the researchers hope to overcome this issue. With the new material, the body would have time to absorb the hydrogen, because the hydrogen would be released at a much lower concentration. In addition to being resorbable, magnesium has other benefits that may assist bone to heal. Professor Manuel has been pre-clinically testing the magnesium pins in rats with some success and hopes that the new technology will one day come to the market. Bioactive implants, like magnesium, generally release some sort of agent that is beneficial to the healing process. In this case, the nutrient is magnesium. Other materials have been explored for orthopedic applications that release metals for their antimicrobial properties, as was detailed in a recent article on Medical Device Online.